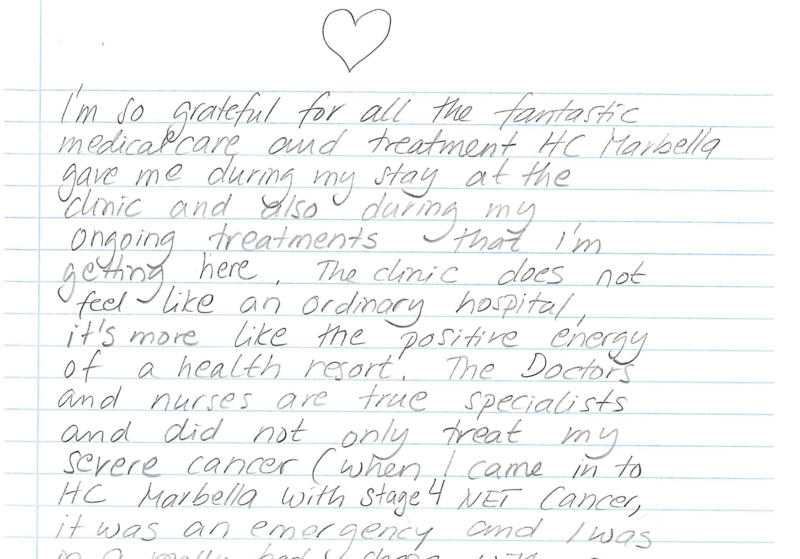 I´m so grateful for all the fantastic medical care and treatment HC Marbella gave me during my stay at the hospital and also during my ongoing treatments that I´m getting here. 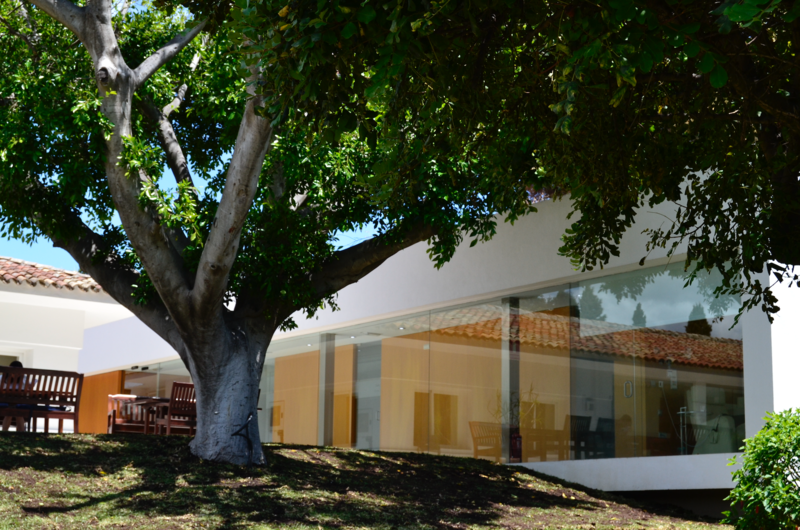 HC does not feel like an ordinary hospital, it´s more like the positive energy of a health resort. The doctors and nurses are true specialists and did not only treat my severe cáncer (when I came in to HC Marbella with stage 4 Net cancer, it was an emergency and I was in a really bad shape with a prognosis of only week left to live) but they saved my life and cured my cancer against all odds. The medical team are true professionals and my saviors. Me and my family will always be grateful for their amazing skills, efforts and contributions to my health and well-being. You have my deepest respect and most heartful recommendations.